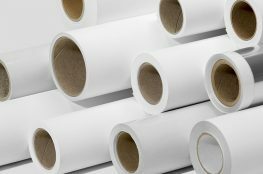 Polymer Protective Packaging is a leading provider in nonwoven materials. We are an importer, converter, and distributor of spunbond, scrim and non-woven materials used for laminations, protective covers and cost-effective cloth replacement. These materials are useful in industrial, medical, personal care, automotive, and agricultural markets wherever there is a need to protect parts or products with surface scuff sensitivity. Protects powder-coated products from imaging, shadowing while allowing for product to outgas. Available in various thicknesses and varieties from 3/4 oz. to 2-1/2 oz. or greater. For more information call 616-275-0991 or click here for our quote form.